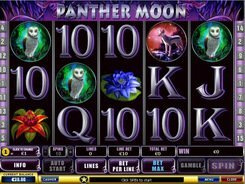 Panther Moon is a video slot fitted with 5 reels and 15 win lines. 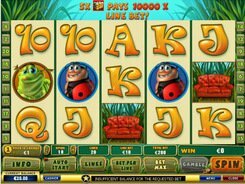 A flexible betting system enables both beginners and high rollers to make a suitable wager, from a minimum of $0.01 to a 750$ stake per spin. A maximum of 10 coins is accepted per line, and the coin size is changed from $0.01 to $5. 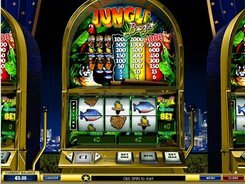 The Moon Panther itself is the wild symbol, with five panthers bringing a coin jackpot of 10,000. Another strength of the wild icon is that it substitutes for any missing symbol to hit a winning combination. 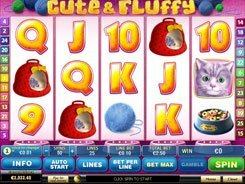 Three or more scatters (full moons) appearing anywhere on the reels give you 15 free spins with x3 multiplier. 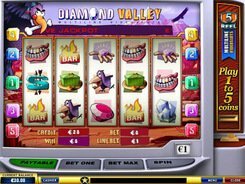 In the Gamble feature you can double up your current winnings by selecting a card with higher value than the dealer's card. 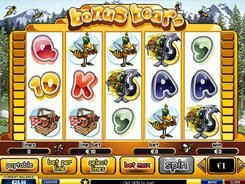 If your card turns out to be lower than the dealer's card, the Gamble Feature ends and you lose the winnings received in the triggering spin. PLAY FOR REAL MONEY!